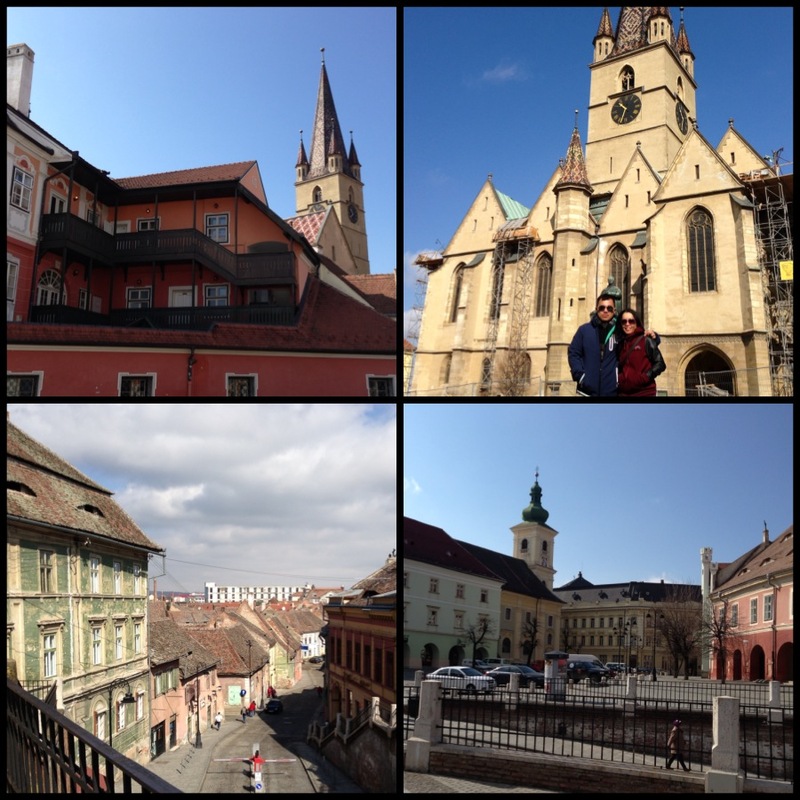 My sister has been working in Sibiu for five years now and one of the main reasons why I traveled to Romania was to visit her. From the international airport in Otopeni, I took a bus from the basement that brought me to Gara de Nord, a train station in Bucharest. From there, I immediately looked for a store to buy a sim card and luckily, the man in the store was so helpful despite the fact that he can't understand and speak English. I used some signs and point on a sim card and because of that I was able to call my sister. He even helped me to purchase a ticket for my Sibiu trip; I was touched by his actions and the kindness that he showed me. 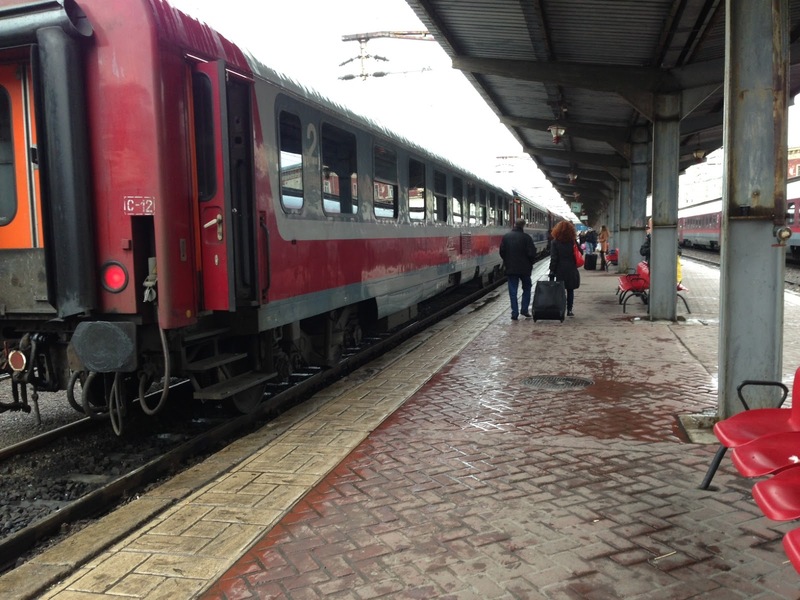 At 10:30 AM, the train departed the station and it was a five-hour journey towards the Romanian province. 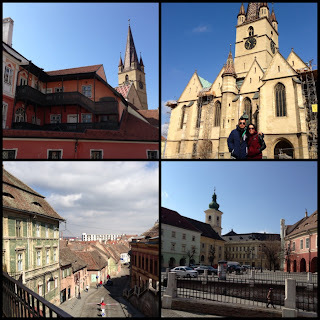 Upon arrival in Sibiu, I took a cab and went straight to my hotel (Hotel Rin). I unpacked some things, had my late lunch and rested for few hours. At around 11PM, my sister went into my hotel (she wasn't able to pick me up in the airport since she was working that day) then we headed into her house. 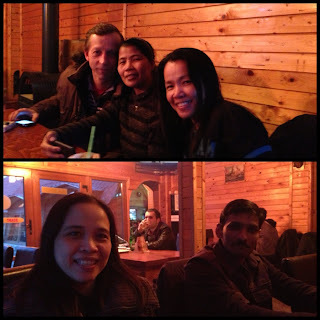 She is living with 2 colleagues, Esmeralda and Lhala who were waiting for us so that we can go together in a bar. It was 1 degree Celsius that night and it was indeed so cold. 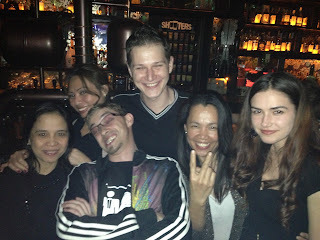 Initially, we went to this Irish pub where I met some Romanian friends (Romina and her cousins) of my sister but we wanted to dance so we transferred to a bar named Oldie's (don't be fooled by the name). It was jam-packed that night but we still managed to get a place, drank and danced. We left the place before 2AM. The next day, after a free breakfast from the hotel, my sister and I, together with her two friends, Esmerald and Gay, strolled the old town. There, I witnessed the beauty of this city where several great architectures can be seen. Several designs of churches were also on "display". Our plan was to climb up to the clock tower but it was under renovation so we weren't able to do it. Nevertheless, we walked for almost two hours to feel the breeze of the place and cold was embracing us tightly. The place and the surroundings are so clean and the old buildings were still impressive. After that tiring moment, we went back to my sister's place to eat and have some coffee. 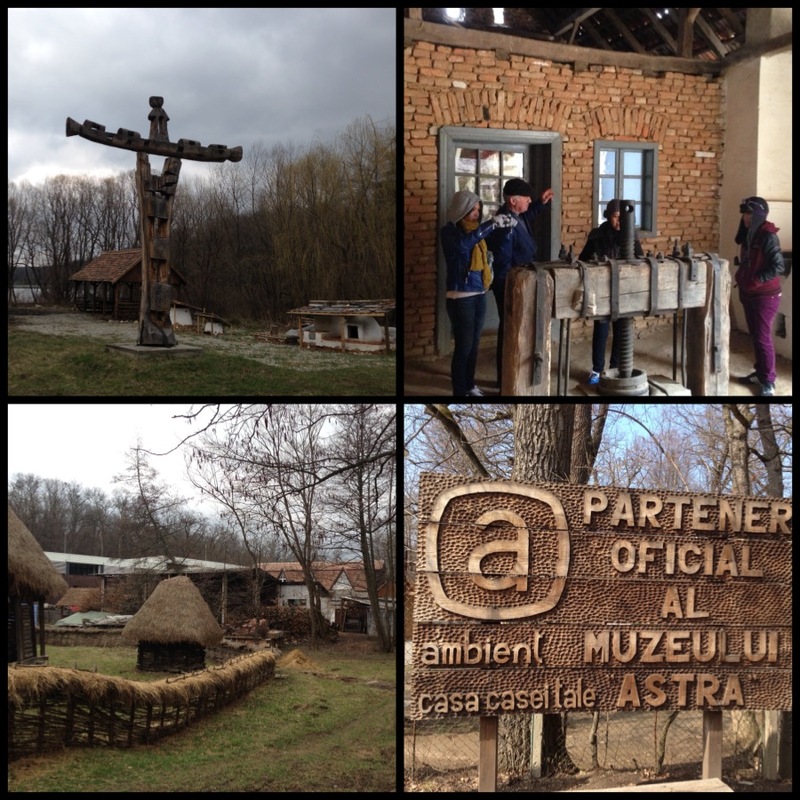 After a quick rest, we went to Muzeul Astra. It is actually a museum but in different approach. Normally, when we say museum, it is a showcase of paintings, art crafts, culture, etc in a room or big building. But this one, it is a big field and open area that requires hours of walking to navigate the surroundings. 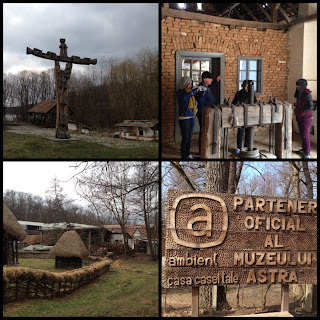 The museum exhibits the old life of Romanian people including the old houses, tools for farming and food preparation. At first, it was like I was just in a province but once you see the representation of Romanian culture, then you will embrace their nature and realize that there is something more in that place. We were lucky enough to meet a "museum guide" and I was amazed how these Filipino ladies were able to communicate in the Romanian language. On my third day in Sibiu it was Palm Sunday so I accompanied my sister to church and the entire mass was in Romanian language but there were papers with English translation for foreigners. After that, I met Sofia and we headed to their home where a special lunch was waiting for me. I was so touched that they took time to prepare meals for me. Sofia's husband, Sorin, a Romanian baked a cake for that occasion; I was astonished by their hospitality. 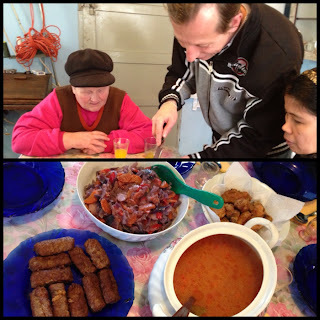 I also met Sorin's mom who also prepared a dish that day. The foods were all delicious and I really loved the chili mixture that they prepared. But before that sumptuous meal, we have drunk a special wine first as a tradition. They gave me a bottle of chili and wine and I brought them here in Dubai.